Branding & Type Design were made for each other. We delve into the role of variable fonts in making brand communication a truly 1-in-1 experience. Ever since the invention of contemporary branding practices, companies have made huge investments to keep their voice consistent. This ensured that the company stayed on-brand and constant, with a rigid corporate image control. This has been the case for most successful companies and it has probably reached it’s highest point. Today, having a strong, well thought out and executed brand is just the beginning. Its real value lies when it comes in direct contact with each customer wherever they are, in their own time. This one-on-one strategy is still in its humble beginning, its black mirror stage, so to speak. We have been calling this new corporate voice Variable Brand Voice®. Companies are making products and services more diverse than ever, with the customer centered decision making. They are speaking to individual clients wherever they are, be it on the streets or on Facebook, Instagram, Whatsapp, iMessage. McDonald’s, for one, realized that it can’t live solely out of BigMac’s for the craft movement is out and about, so it listened and created the ClubHouse, its own craft burguer thing. Spotify’s business is playlist customization, suggesting music based on listener’s preferences and even creating a long awaited, taylor-made, yearly musical retrospective for every customer. And most people recognize Netflix’s social persona and one-to-one communication as much as their streaming service. These brands have one thing in common: they are trying to make each customer’s experience more unique, one way or another. McDonalds’s listened and changed its menu, Spotify its recommendation algorithm, Netflix responds to people in social media very much like a person. Second thing in common is that in all these cases, design has no role in making it more personal. Why can’t graphic design and typography be used to create different voices for different folk? Before branding and before many of us were born, companies already used multiple typographic expressions in their communication. Most of them did it out of innocence – for each message, a different artist, printer, etc. thus a different visual. Good intentions and fun visuals born out of a pre-branding era naivetè. In Brazil, Granado is an excellent example of this approach. Despite having it’s own printing press, in 1940 they didn’t have what we know today as a branding strategy. Yet the advertising, packaging design and graphic style is pure Variable Brand Voice®. Each graphic piece takes the brand in a different direction, with the products in a higher position than brand unity. Some twentieth century magazine’s followed the same pattern. Almost halfway between innocence and intention was Paratodos, by master illustrator and designer J.Carlos. Each edition had its own masthead, diverse yet impossible to not recognize with its art Deco lettering style. For every edition, a new logotype. 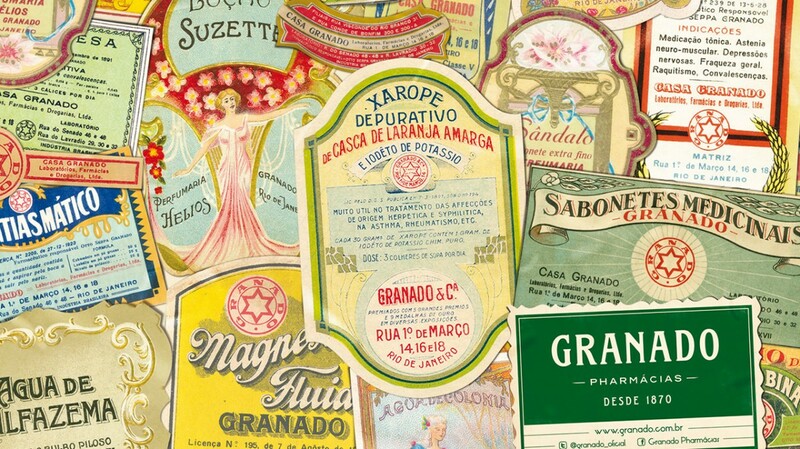 Variable Brand Voice® before branding in Granado’s identity. Typographic dullness is on the loose: don’t let it catch you! Many brands in the recent years have taken what we consider a dull route in their brand identity. In order to adapt to a diverse, mobile-based audience, they have redesigned with geometric sans or similar. The result is a lack of expression. Even in the fashion industry, a landmark of creativity and expression, enchanting word marks are giving way to tedious sameness. It is as they were going through a late modernism stage, where functionality trumps expression (as if it were indeed possible) in search of an unattainable neutrality. It seems as though adapting to a wide audience is currently more important than being themselves. It’s as though the broader the audience, the more neutral it should be. This leads to ultimate boredom. Two other brand identities had us thinking about Variable Brand Voice®. Estrus Records, a recording studio from the 90s had an identity designed by Art Chantry & David Crider without a fixed logotype. Each record had its own identity and the thread connecting them was the visual style rather than a specific symbol. Change is what define Estrus’ identity. Name and graphic language are consistent enough to ensure recognition. The grunge style, black and white, a drop of comic book signature rendering make it all cohesive and fun. Some of Estrus Records’s logotypes, designed by Art Chantry & David Crider. A more recent brand that takes a similar approach is custom motorbike company Deus Ex Machina. At Deus, the same thing applies: no matter how many logos, the overarching brand is still the same, and change becomes expected, like the new recording of a beloved band. There is big potential in this approach. Each new release becomes an instant collectible and adds to the brand’s communication environment. Estrus and Deus Ex Machina are niche brands that can afford the “luxury” of experimenting with their identity in such a way. Variable Fonts is the biggest typographic happening of the last decade. Long story short it is a format in which multiple axis – say thin, black or roman/italic can all be in one single file. This means that a complete typeface with multiple styles can all fit in a compact single format. Other aspect of the technology is that between two extremes, there can be infinite variations of the font, so you can actually equalize the boldness of a font to any context, no matter how specific it is. All this is not limited to weight or slant angle, people have been experimenting with all kinds of crazy things, like drip, dimensionality and more. Thus it becomes a dynamic, customizable and controllable item. While brands are struggling to deliver personalized experience, at one point they will actually have to deliver it. And it will possible to taylor every touchpoint of such experience. If Spotify’s playlist is a reflection of your tastes, can its logo, colors and user interface be it as well? This is what we call Variable Brand Voice® – the connection between branding and variable fonts. Ok, got your Coke, your way. How about our reading experience? Take Vogue Magazine, for example. Maybe you think it’s not for you, or maybe they just haven’t found what it is that you like about fashion which would make you consider reading it. Nothing is more variable and personal than fashion, after all. How about a Pret-a-Porter Vogue, with content and style made to order to your specific liking. Experimenting with our own identity: the many Plaus of Plau. While we pursue projects to apply this thinking (hey Coke, hey Vogue!) we decided to use it in our own identity. Not because it’s cool, but because it makes sense. Our purpose is to make type as popular as music. For that we design type, create type-based visual identity and fonts for companies and teach about type, be it in workshops or in long format courses in person or online. 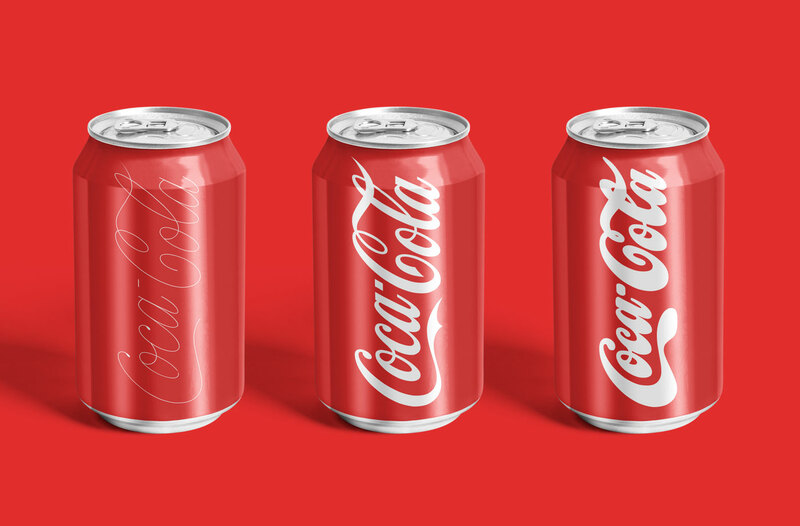 So now there are three “keyframes” to Plau’s logo that represent each of these moments, yet if we want to be in-between, say a conference about the power of type in corporate design, we can manifest our identity just like the .256 Coke we mentioned before. This has made us look more like our audience, more flexible in the way we talk about Plau and it sure is a good conversation starter. Valter Vinícius Costa is a designer and type aficionado. He runs the content side of Plau. Rodrigo Saiani is the founder and creative director at Plau. He designs, teach and talk about type with people and the brands they love.